Flies and ants are usually considered common kitchen pests, but there are other pests that NJ homeowners should be aware of. Pantry pests, which can invade food supplies, are making a comeback in NJ. These pests aren’t a health threat to humans, but they can cause significant damage to food supplies stored in pantries and cupboards in a short amount of time. Homeowners who see any of the following pests should seek help from Monmouth County pest control services. Confused flour beetle: These reddish brown beetles tend to feed on flour and related products rather than whole grains. Drugstore beetle: These dark reddish-brown beetles typically feed on drugstore products, pet food, breads and spices. Indian meal moth: These pests, which have reddish-copper markings and white wings, feed on corn meal, beans, spices, grains and several other food products. Rive weevil: These dark brown pests use their long snouts to poke holes in packaging and lay one egg inside. They tend to feed on cereal, beans, nuts and bird seed. Sawtooth grain beetle: These brown beetles are tiny, which allows them to easily get into packages of cereal, flour, grains and other food products. If you have any pantry pests in your NJ home, don’t hesitate to give Allison Pest Control a call. 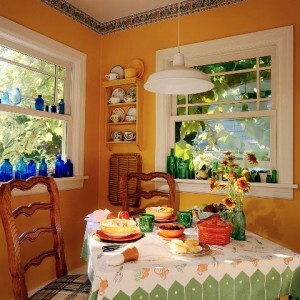 We offer Monmouth County pest control services for beetles, moths and other pantry pests. With creamy white wings banded with colorful stripes of copper, red, tan and charcoal gray, Indian meal moths are an attractive insect. But don’t let their appearance fool you, finding these small moths fluttering about your Monmouth County or Ocean County, NJ kitchen or garage means trouble. One of the most common home pantry pests in New Jersey, Indian meal moths are also a significant commercial pest, ruining huge quantities of stored grains and dry food products every year. Named for their taste for corn meal, Indian meal moths feed on dried plant products of all kinds, including grains, flour, cereal, beans, crackers, nuts, birdseed, dry pet food, grass seed, spices and chocolate. They also have a preference for raisins and other dried fruit and may infest non-food plant items such as dried flowers and potpourri. 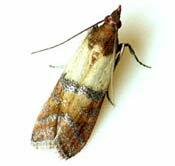 While not harmful to humans, Indian meal moths render food inedible by laying their eggs in stored food. The first sign of infestation is usually discovery of the silken webs larvae spin on the surface of food products as they feed. A larval infestation can cover food surfaces with visible mats of webbing and excrement. As they grow, larvae may infest nearby food products. Caterpillars cannot chew through bags or boxes but are tiny enough to slip through any small holes or gaps. When an infestation is discovered, all of the food in the container should be disposed of immediately, not just the obviously contaminated portion. You can help prevent Indian meal moth infestations by using food before expiration dates and carefully inspecting food before it is used. Allison Pest Control’s home pest protection plans provide comprehensive coverage against a wide variety of home pests, including Indian meal moths. The holiday season will soon be under way and people from coast to coast will dust off those favored family recipes that only tend to appear at this time of year. Sweets like cookies, cakes, chocolates, and pies are an essential part of decorating the holiday dessert table. Lurking in the confines of pantries near and far could be little creatures and their eggs that are happy to spoil the cooking fun…that is if you find them. Pantry pests, otherwise known as stored food pests, love to gather where dry baking goods are stored. Feeling warm and cozy in a pantry or cabinet, these little pests will easily multiply out-of-control making life unpleasant during the holiday season or any other time of year. 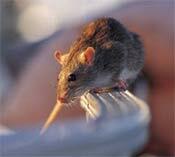 There are many different types of pests that will seek refuge where stored food products are. Ants, earwigs, beetles, and pillbugs tend to make their presence known. Other species of pantry pests such as weevils, the Indian meal moth, or the merchant grain beetle are a bit sneakier about their whereabouts. Ways to avoid pantry pests is to inspect packaging at the supermarket prior to bringing it home. Any breach on the packages surface should be cause for concern with these pests. Additionally, adhering to the expiration dates on the food products will also help to keep these pests out of your home. If any pantry pests are found, it’s time to call a Monmouth County NJ exterminator like Allison Pest Control for safe elimination of the pantry invading pests.